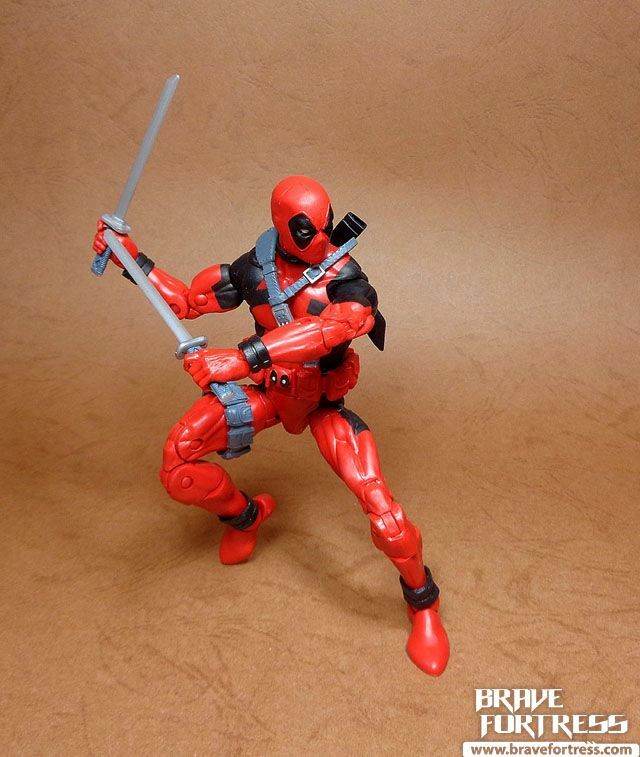 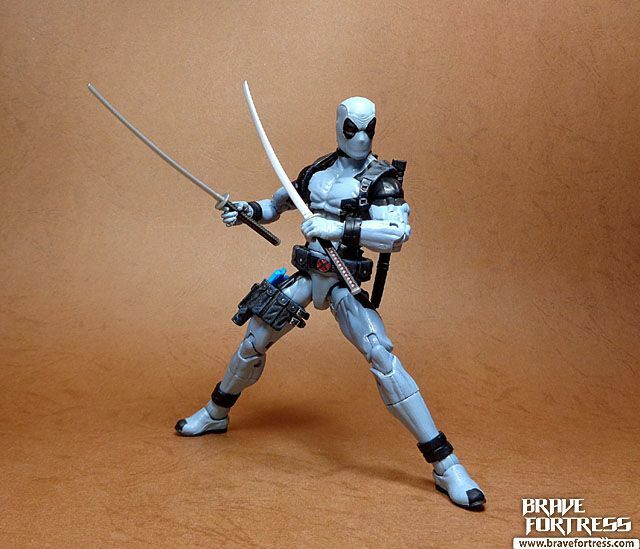 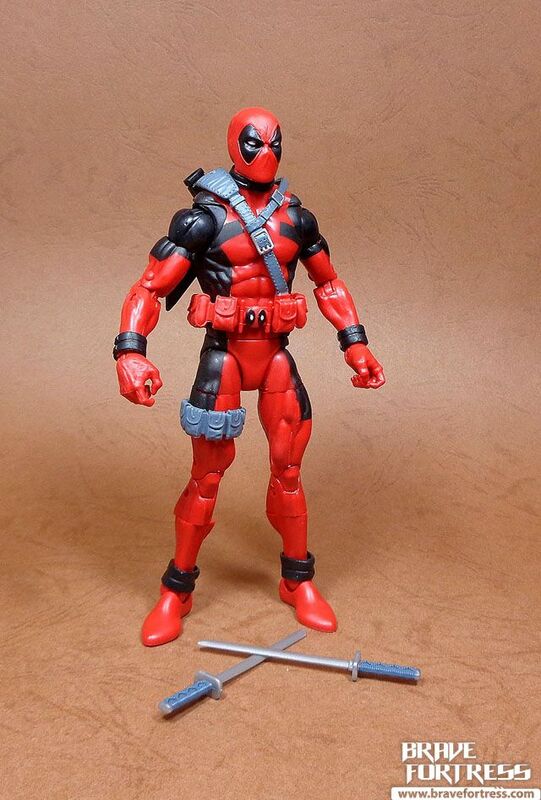 I think this may be the best Deadpool from Hasbro by far. 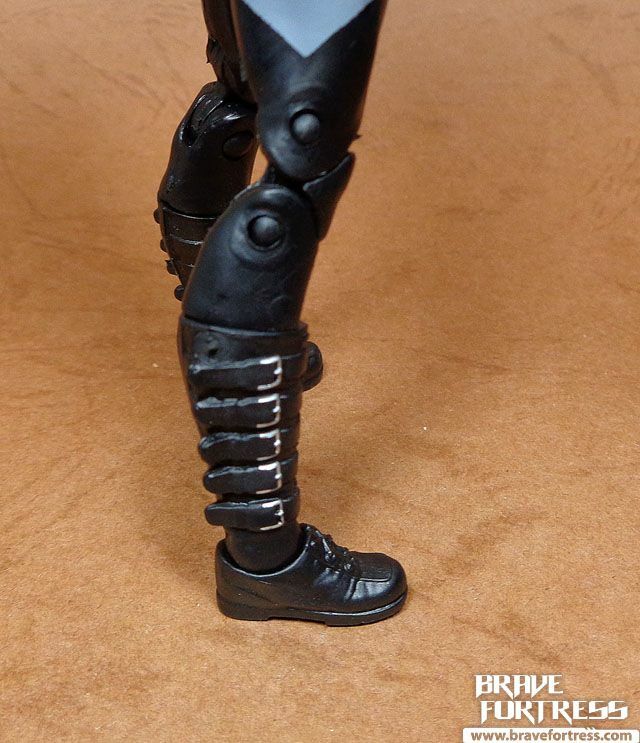 Good proportions and great joints all around! 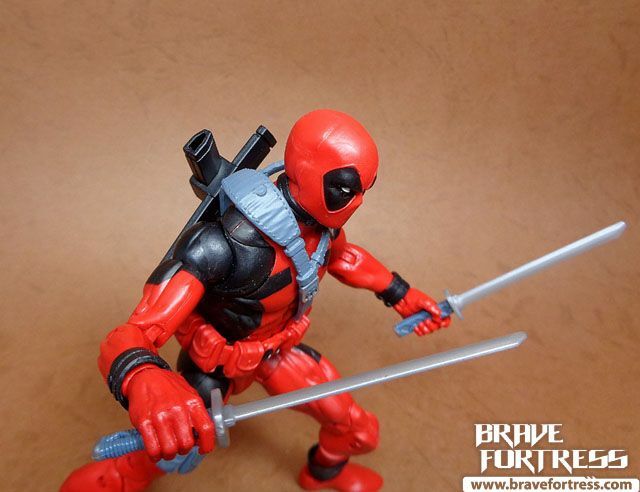 The sheathes for the katanas are very nicely redesigned, they fit the swords snuggly and don’t feel flimsy like with the previous sheathes. 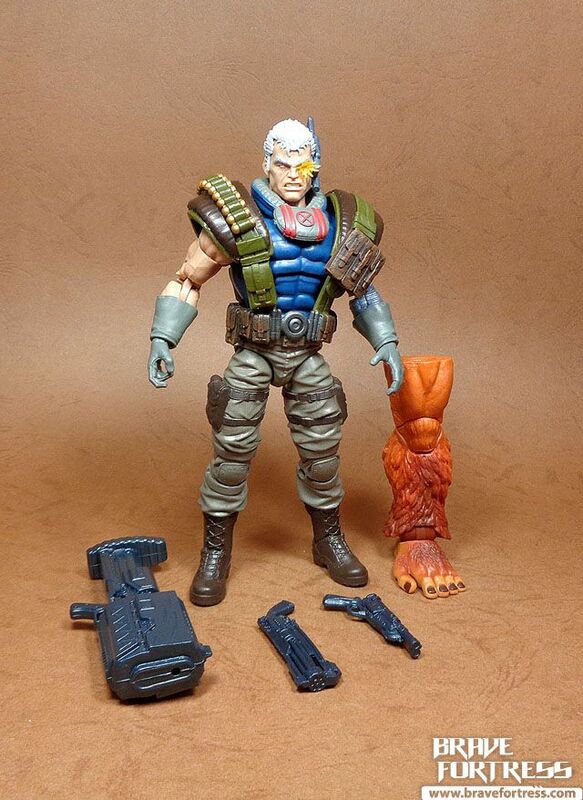 It’s a shame he doesn’t come with any guns though. 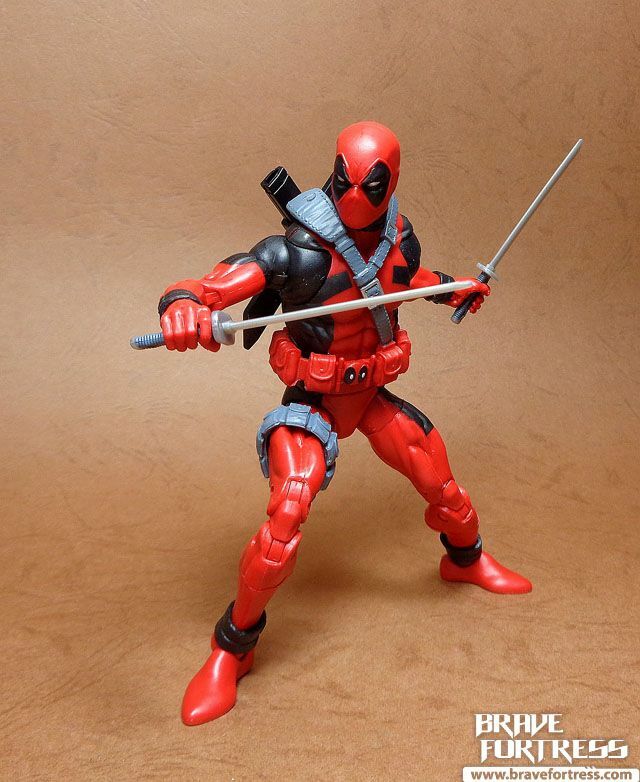 I’m not a super big fan of Deadpool (I only got to know the character from the video games and Ryan Reynolds movies), but this figure I absolutely love. 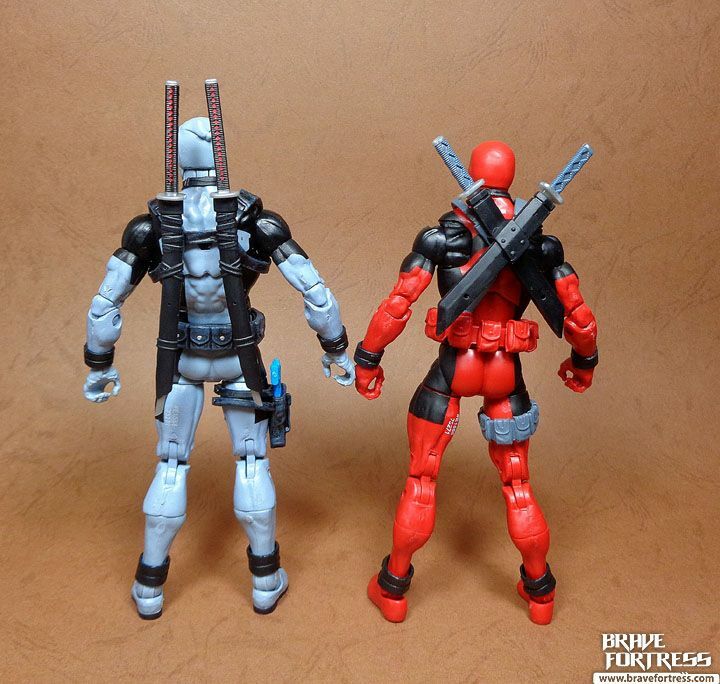 Kudos to the Hasbro design team. 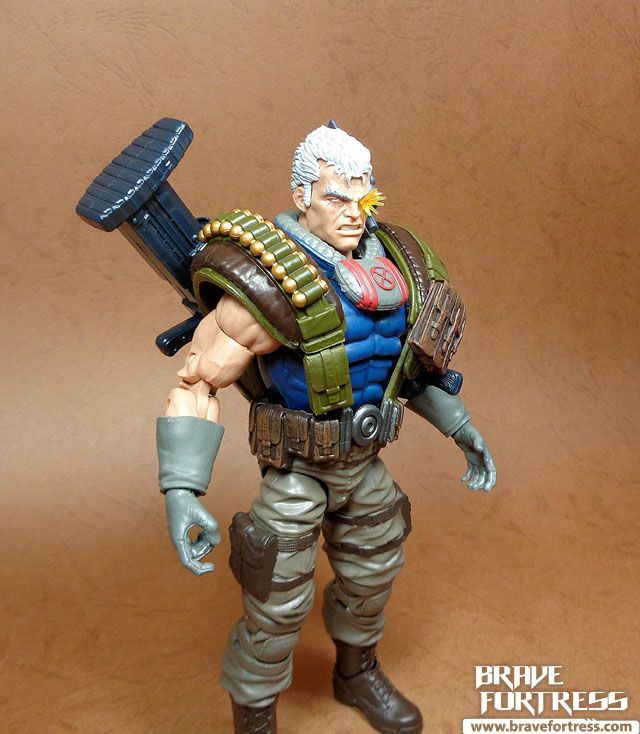 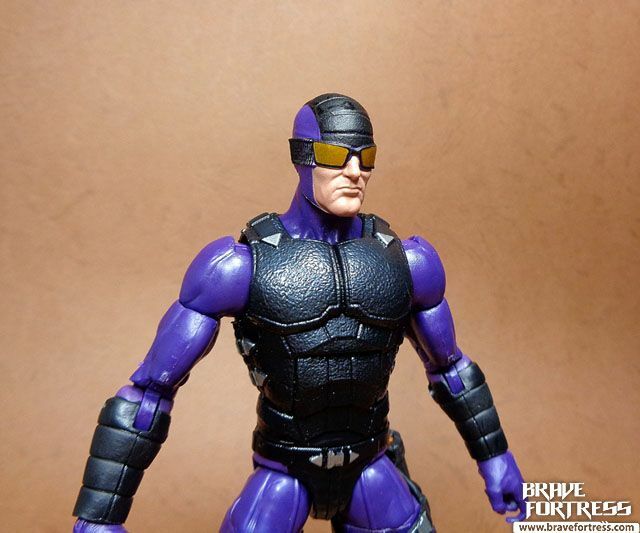 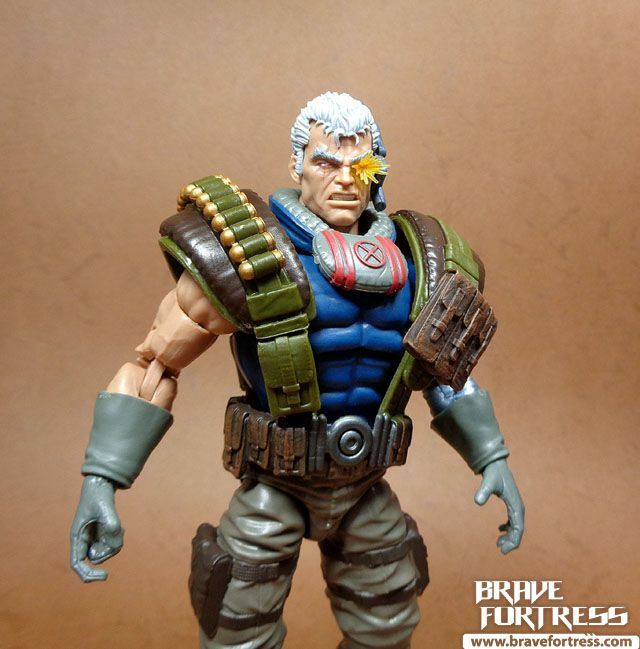 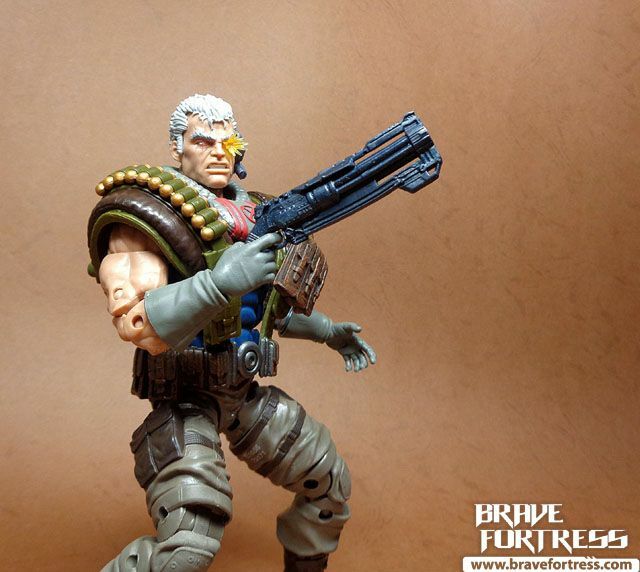 Based on the Rob Liefield design of the character (lots of pouches), this guy may be the best version of Cable in the Legends line thus far. 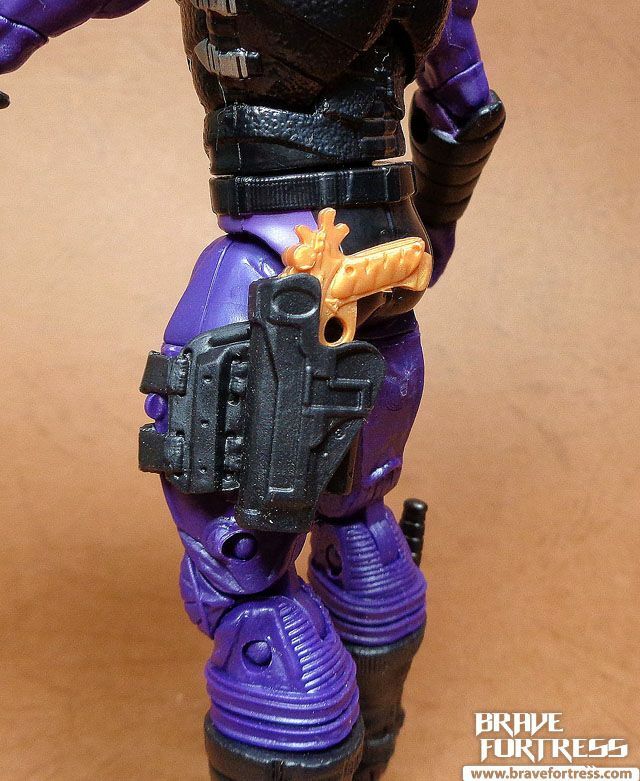 I seem to be having trouble attaching the peg for his harness. 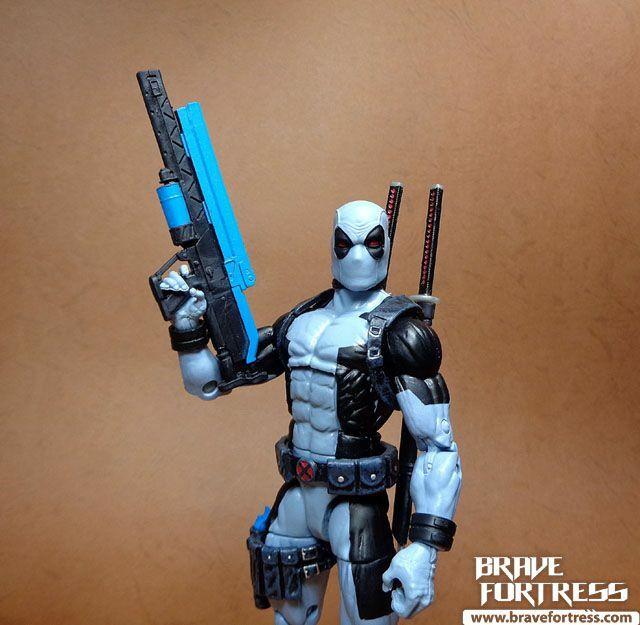 Does anyone else have this issue? 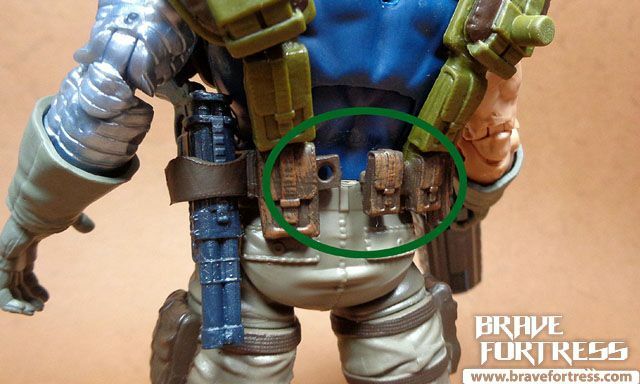 His rifle can be stored on the peg on his vest. 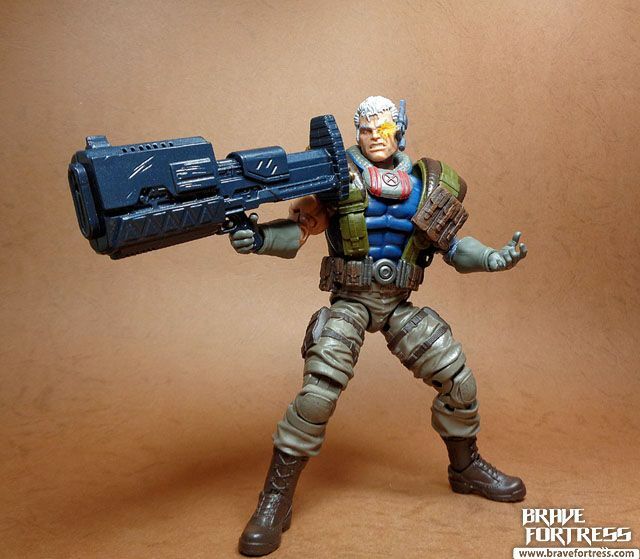 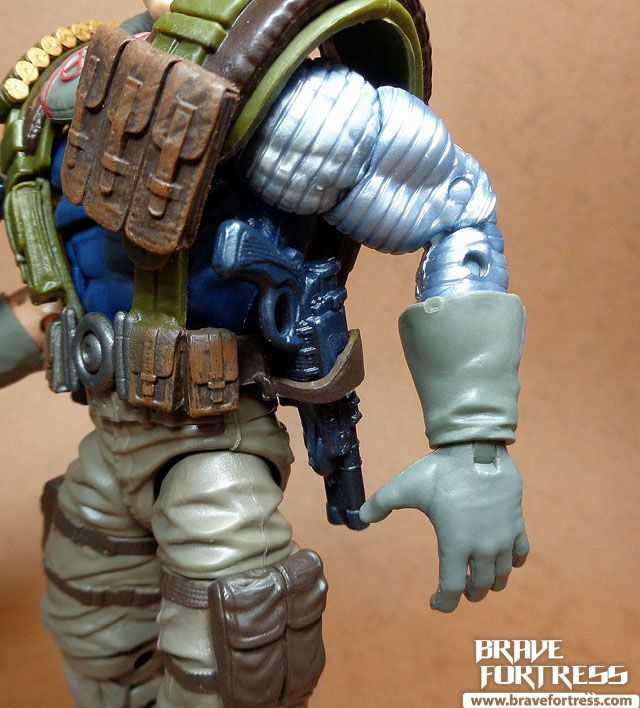 The handle is a bit too large so this is the only way Cable can hold his weapon with 2 hands. 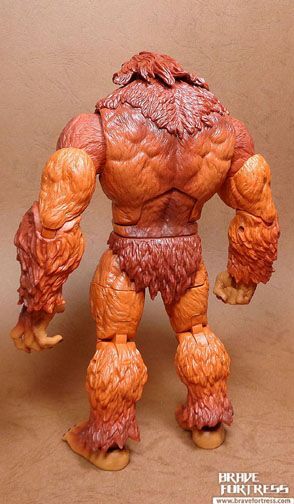 A bit awkward looking, no? 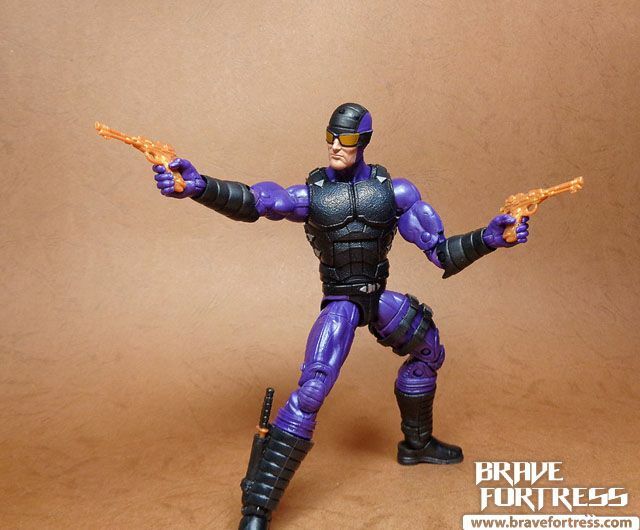 His revolver can be holstered on his left side. 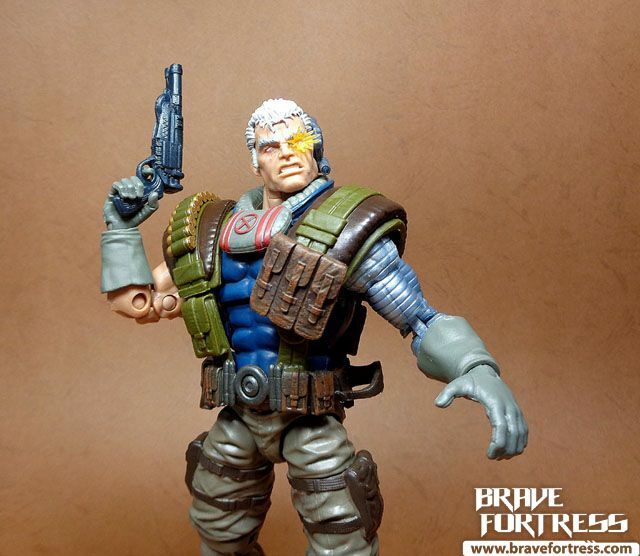 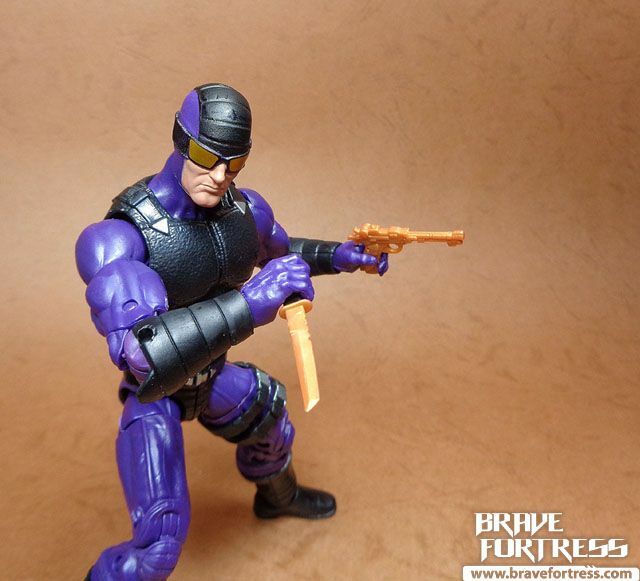 The telekinesis effect on his left eye is permanent and cannot be removed… I think..
Cable also comes with a futuristic shotgun. 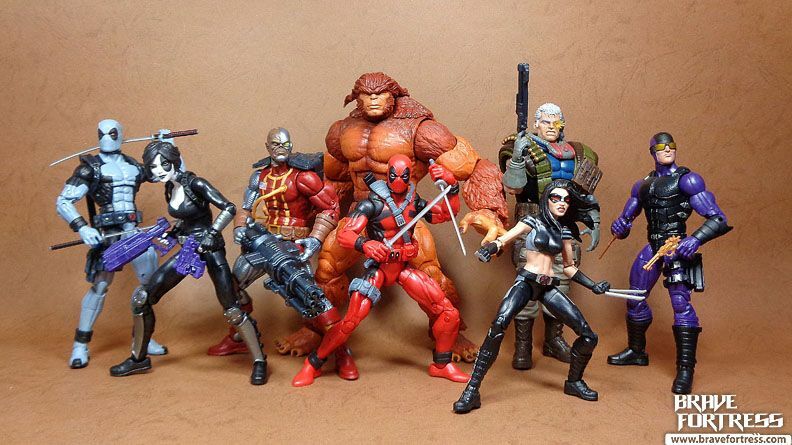 Another member of X-force is added to the gang. 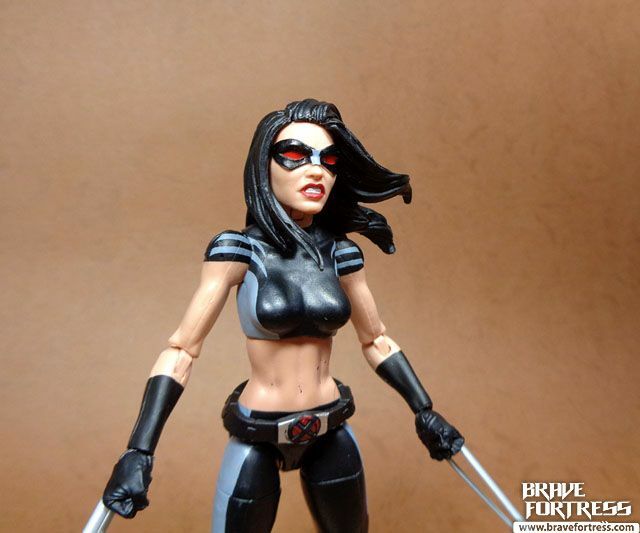 Her powers include telekinetic probability manipulation and enhanced reflexes. 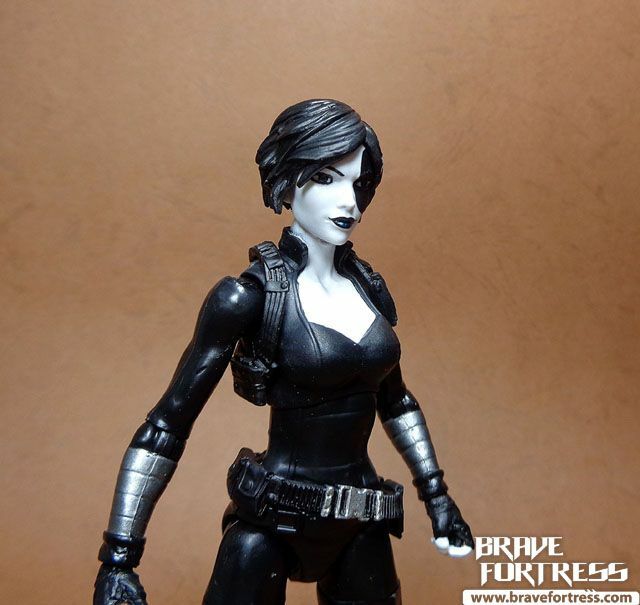 Hasbro’s really knocking them out of the park with excellent female head sculpts. 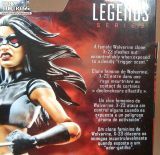 They put the previous versions of existing Legends female figures to shame. 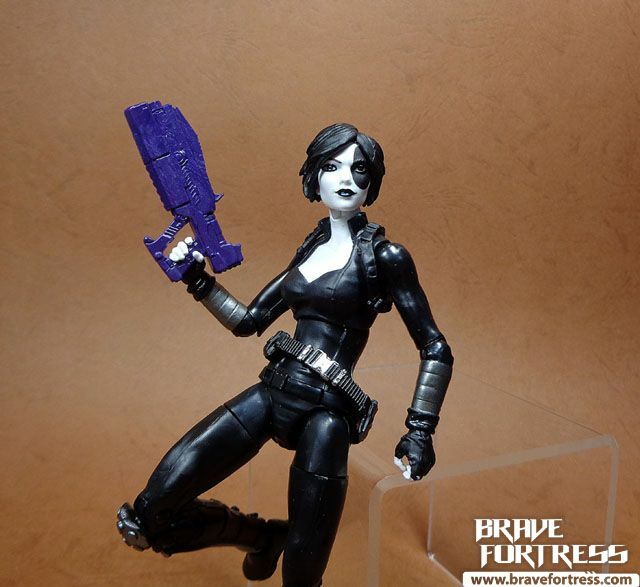 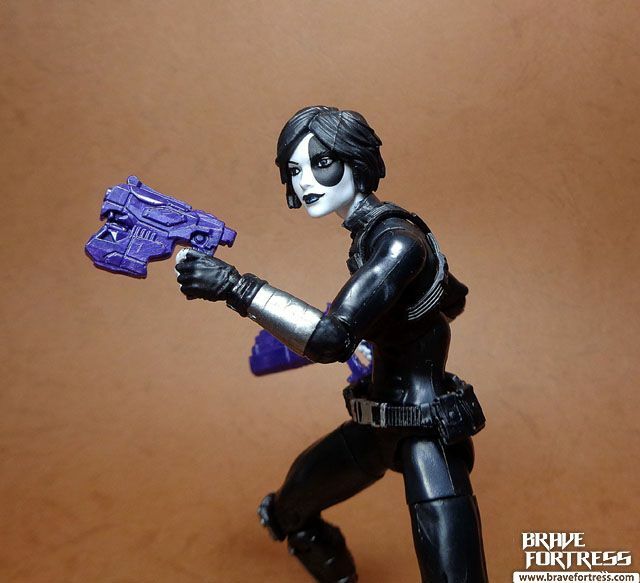 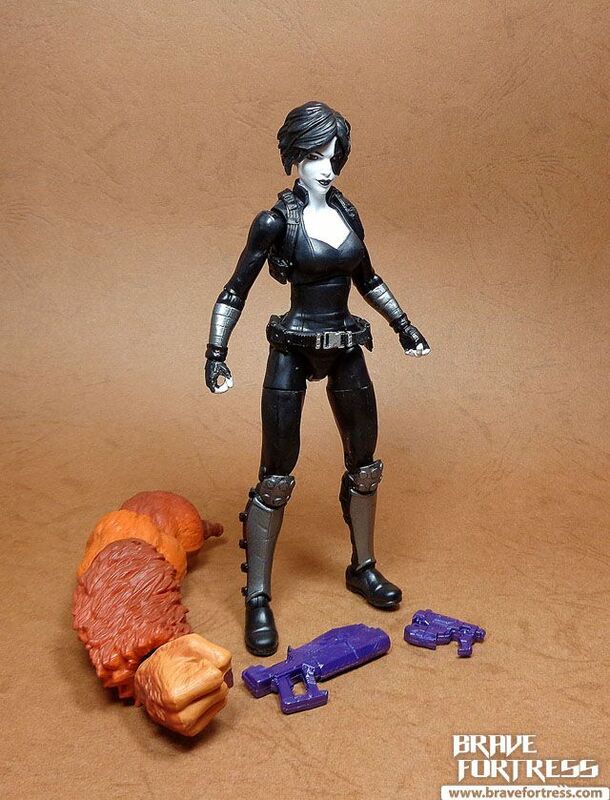 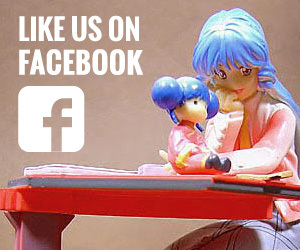 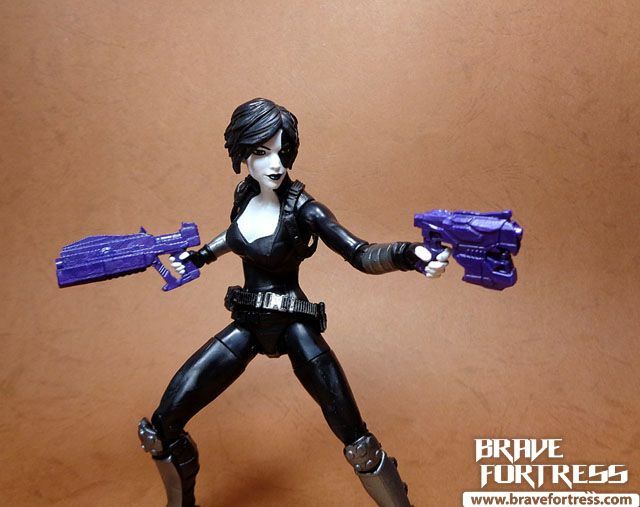 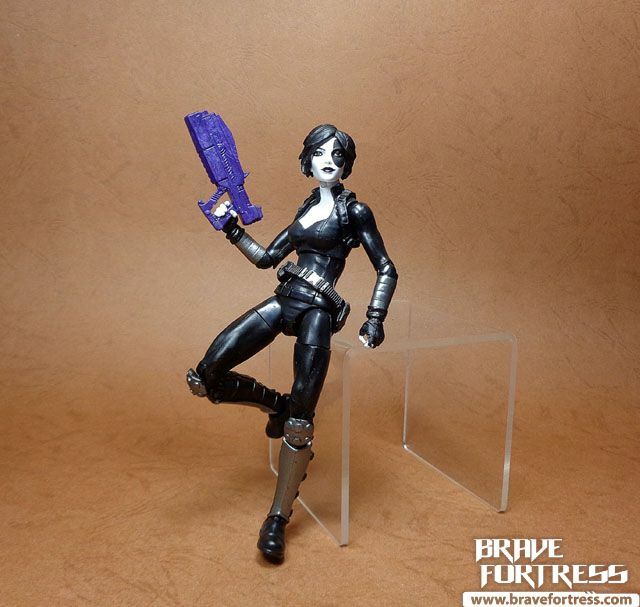 Neena Thurman (Domino’s real name) is also an expert marksman. 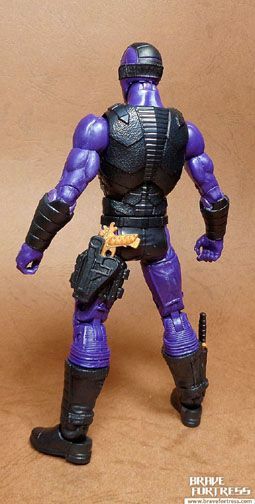 Not much is known about Paladin, his real identity has not yet been revealed. 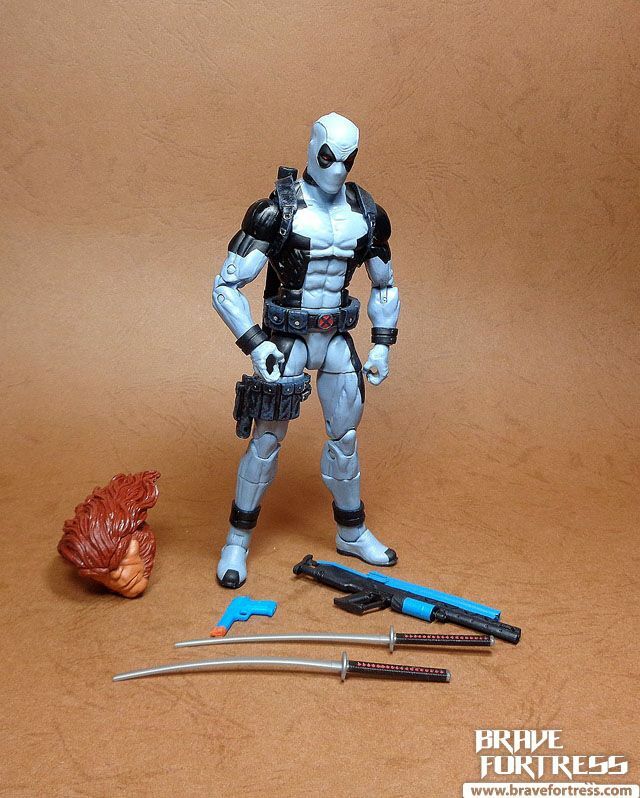 He often works as a mercenary for hire and sometimes works on both sides of the law, occasionally putting him against superheroes, but sometimes helps them out as well. 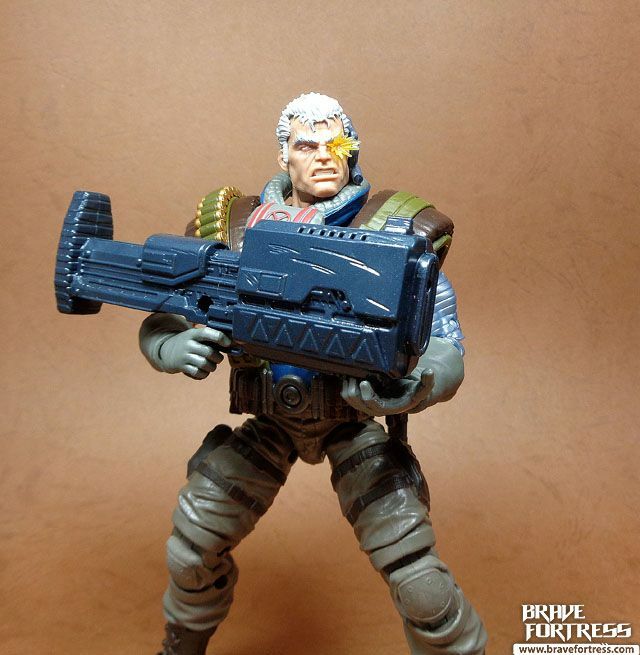 Paladin is an expert at hand to hand combat, he sometimes uses lethal force but usually uses stun guns to take down his opponents. 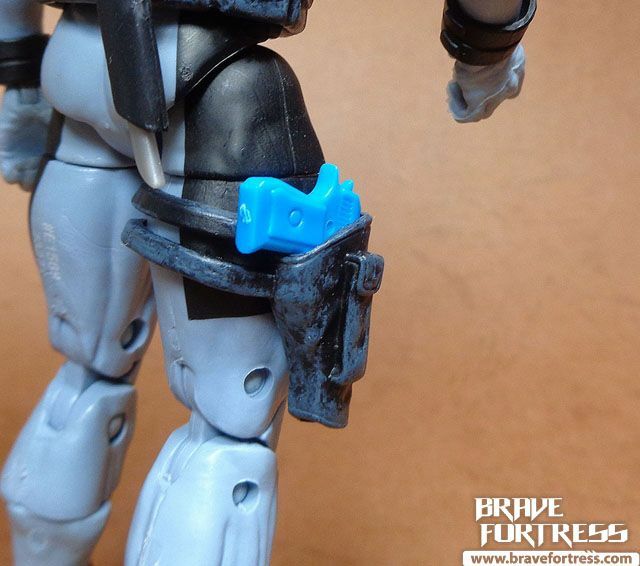 One gun can be holstered. 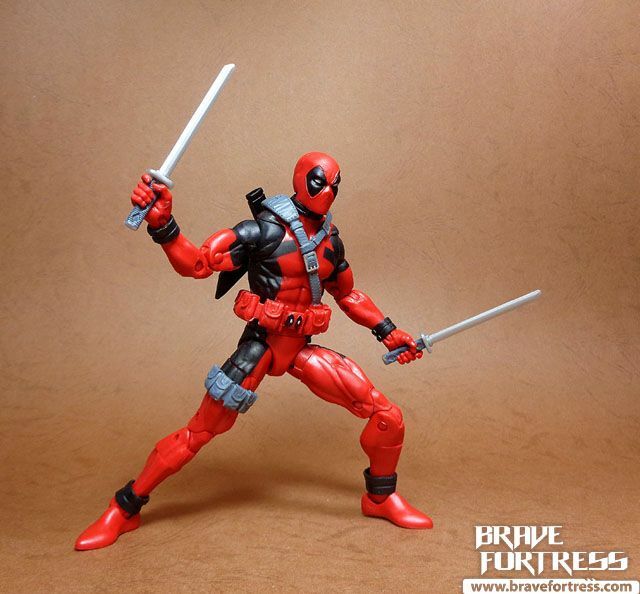 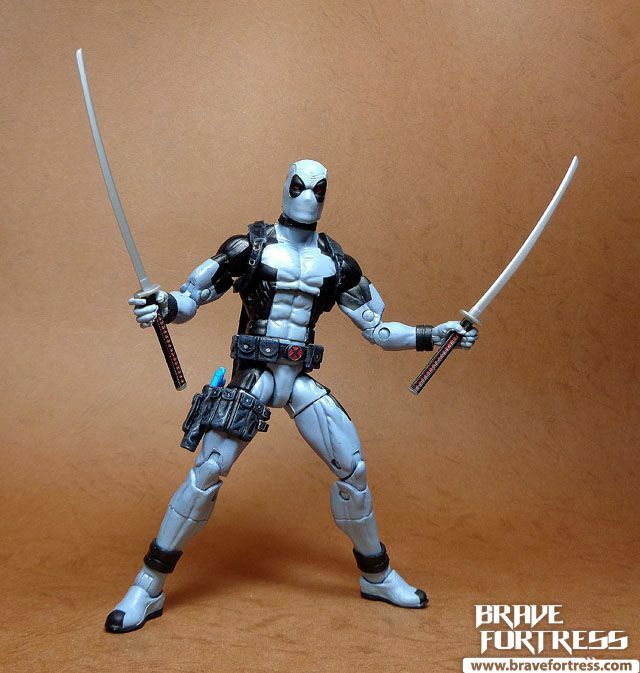 Deadpool in his X-force colors uniform, this is actually a retool of the Deadpool we got with Juggernaut wave, with new legs and forearms. 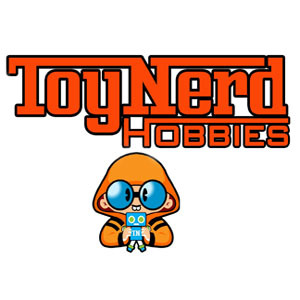 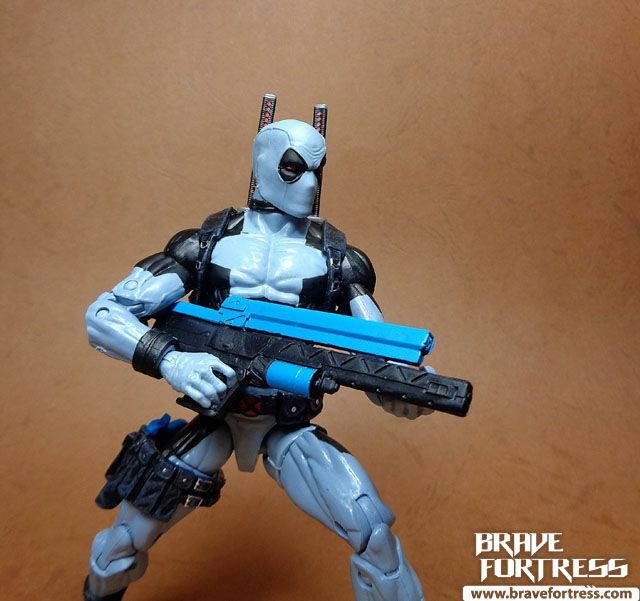 Heh, I like the blue on his guns, makes them look like toys…. 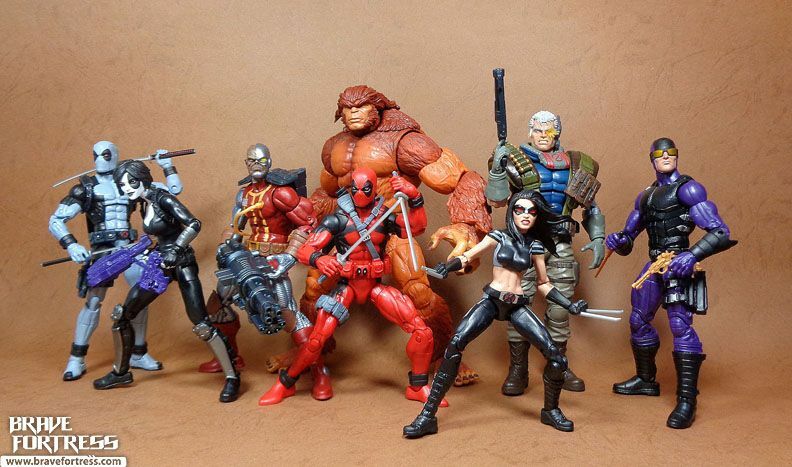 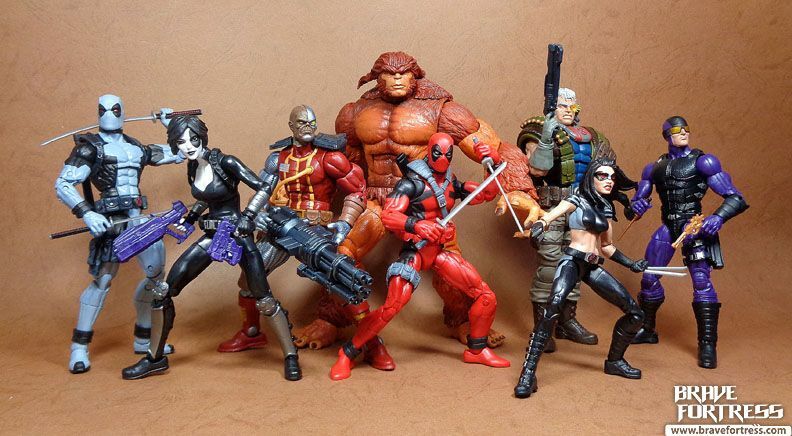 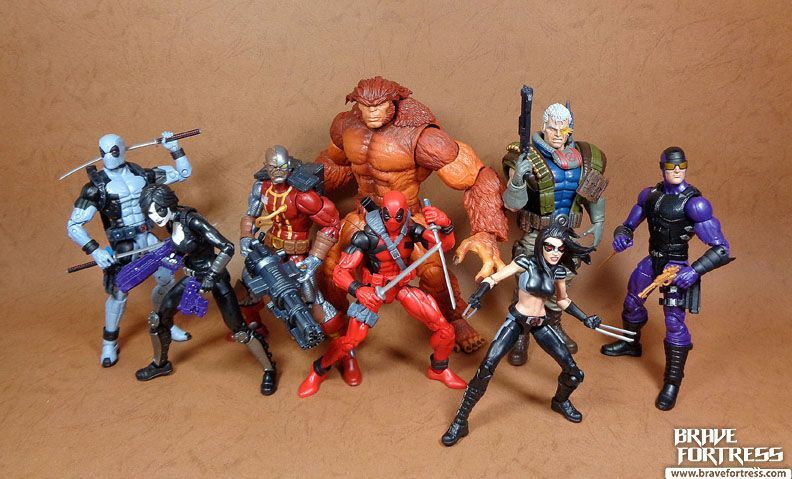 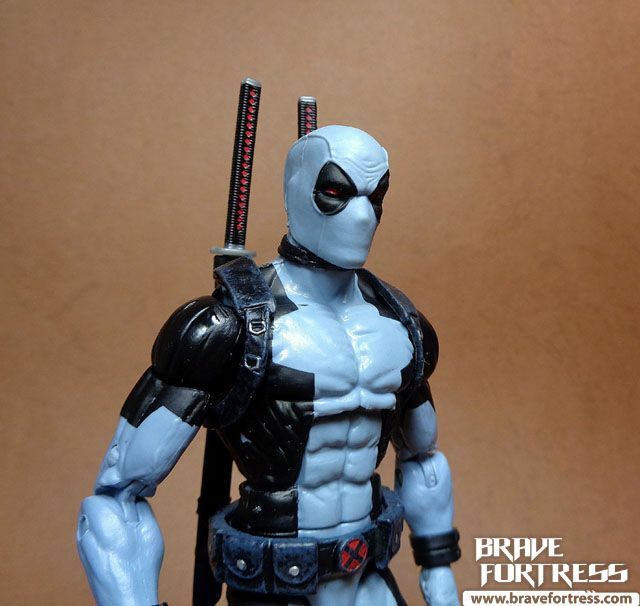 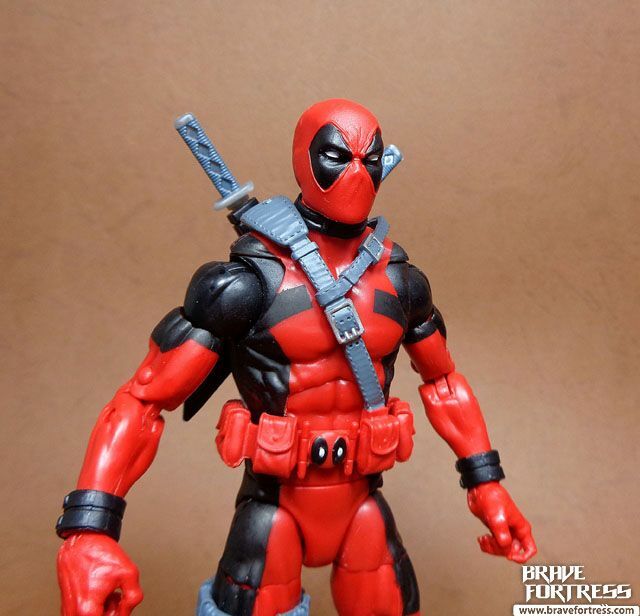 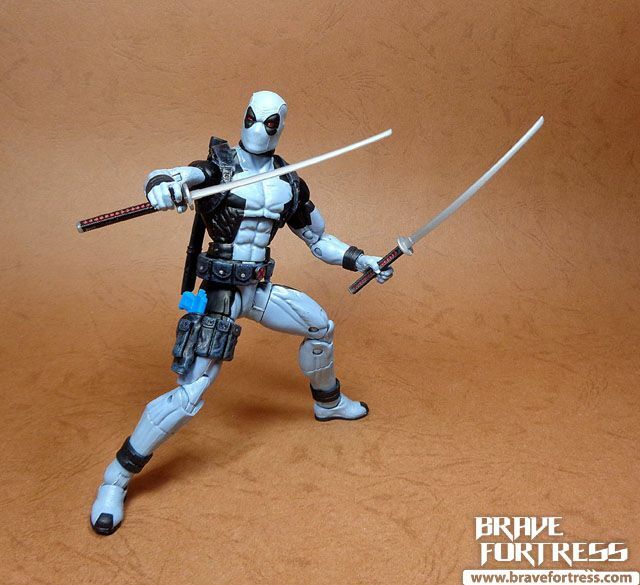 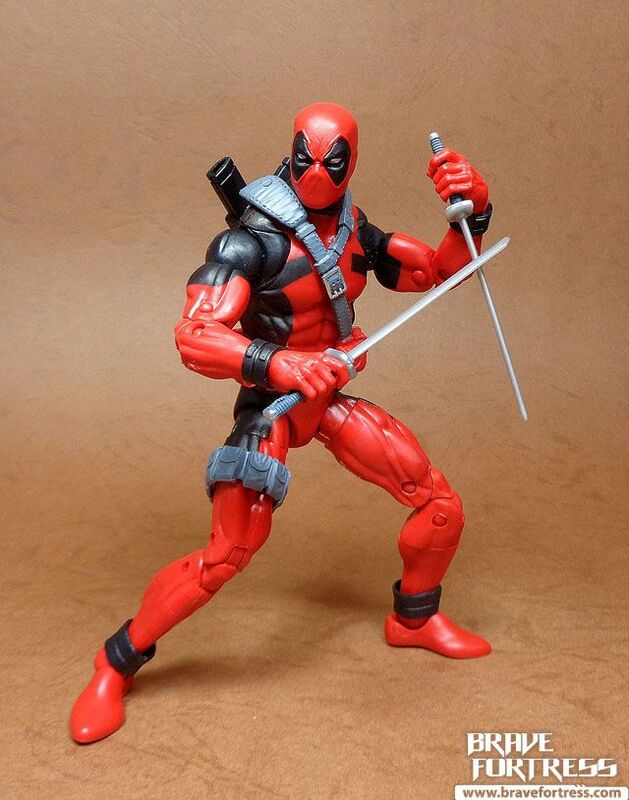 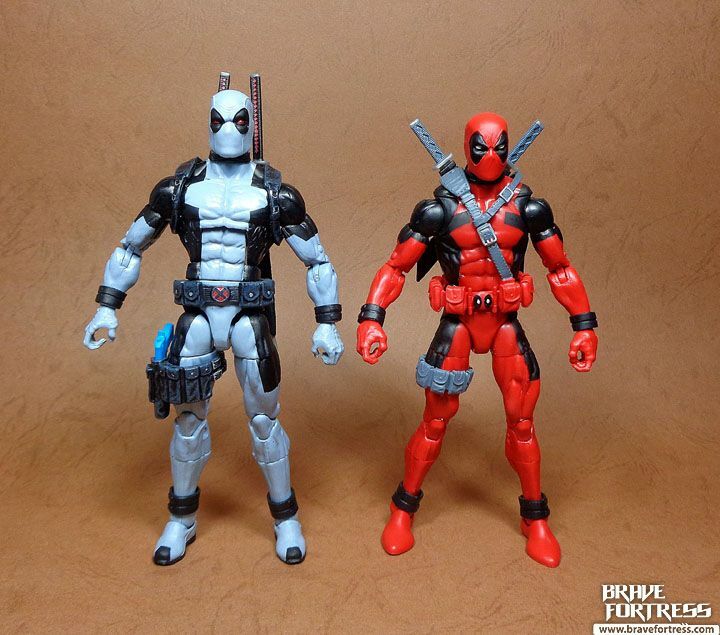 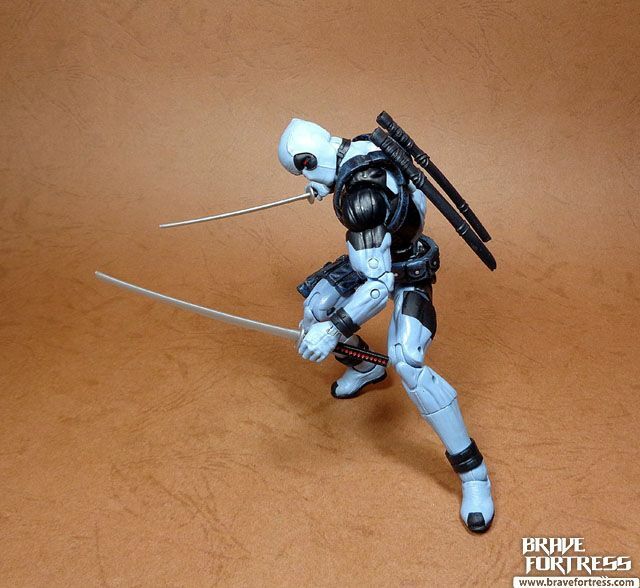 Chances are we’ll see this “new” body of Deadpool’s repainted again in X-force colors down the line. 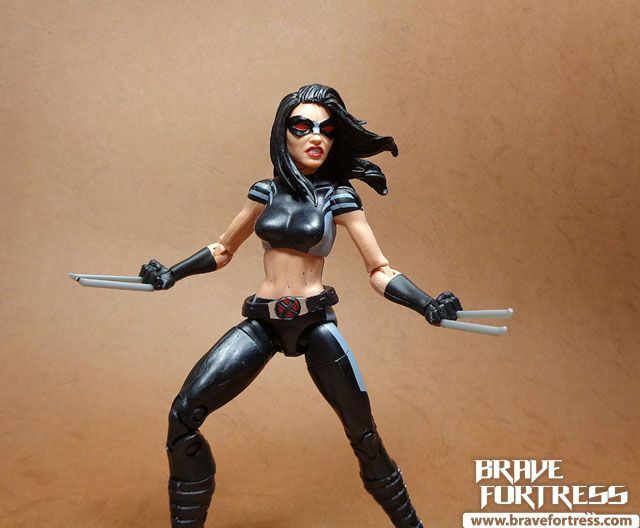 Laura Kinney is the cloned daughter of Wolverine, she possesses all of her father’s abilities. 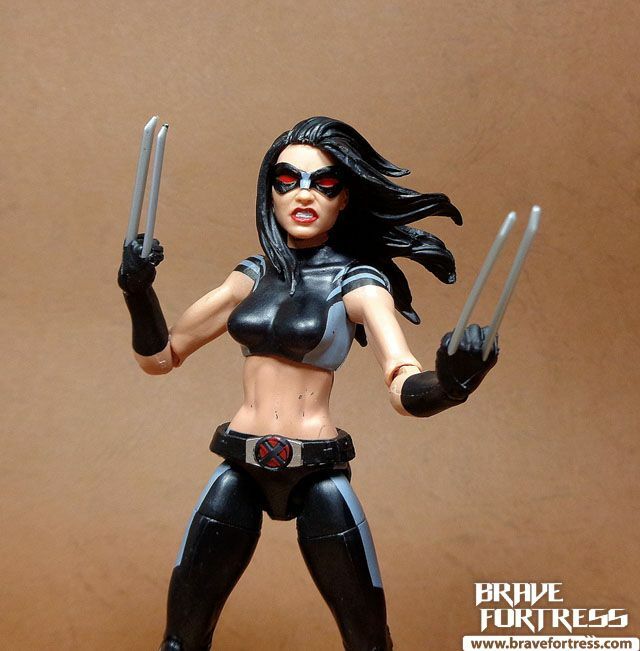 Unlike her father, she only has 2 claws instead of three. 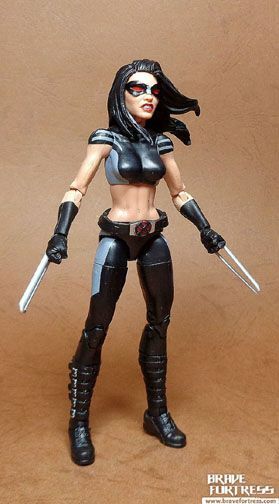 Her third blade is actually in her foot. 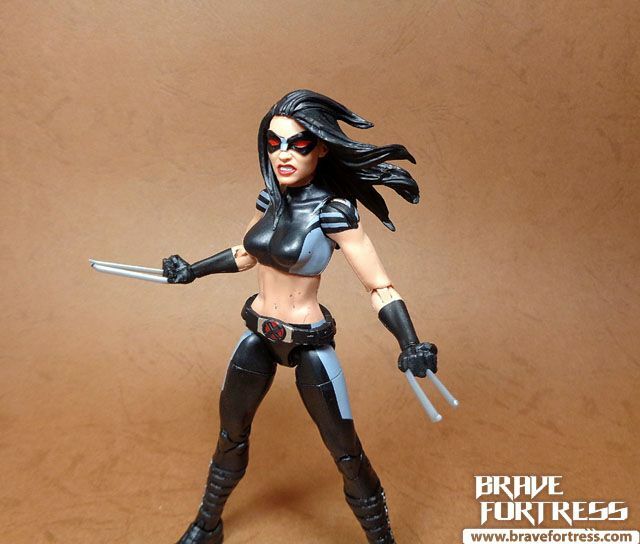 She doesn’t come with her foot blade though. 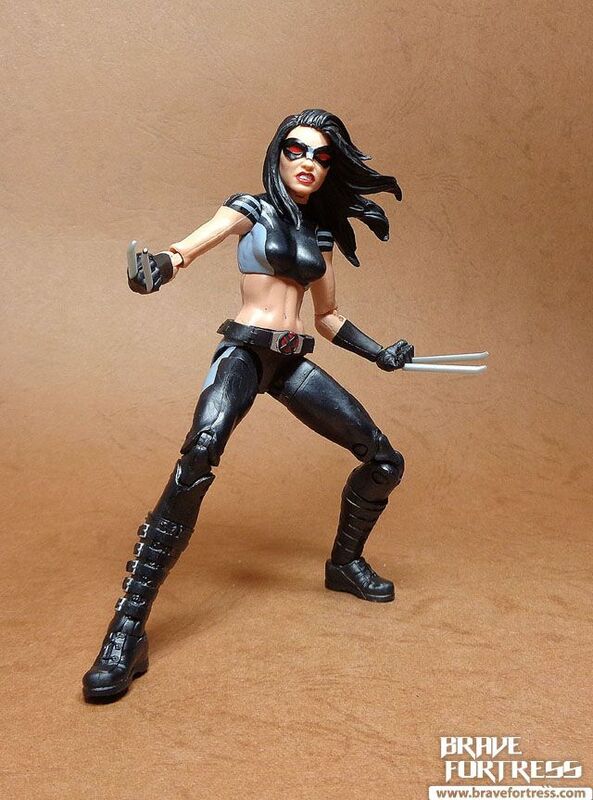 More recently, X-23 has been using her father’s costume and codename, as the second Wolverine. 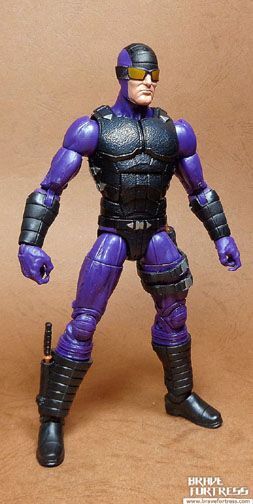 There have been several Deathloks in the Marvel Universe, but I think this version is based on the original, Luthor Manning version. 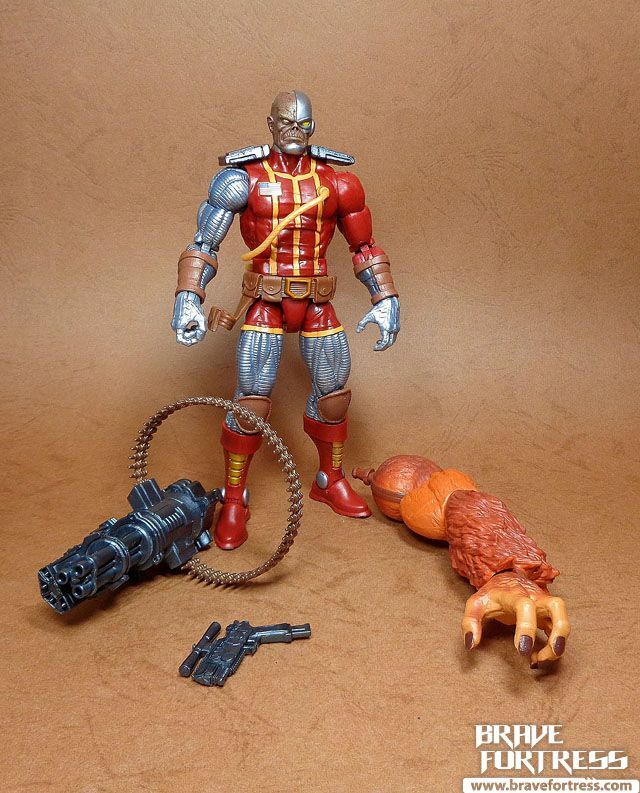 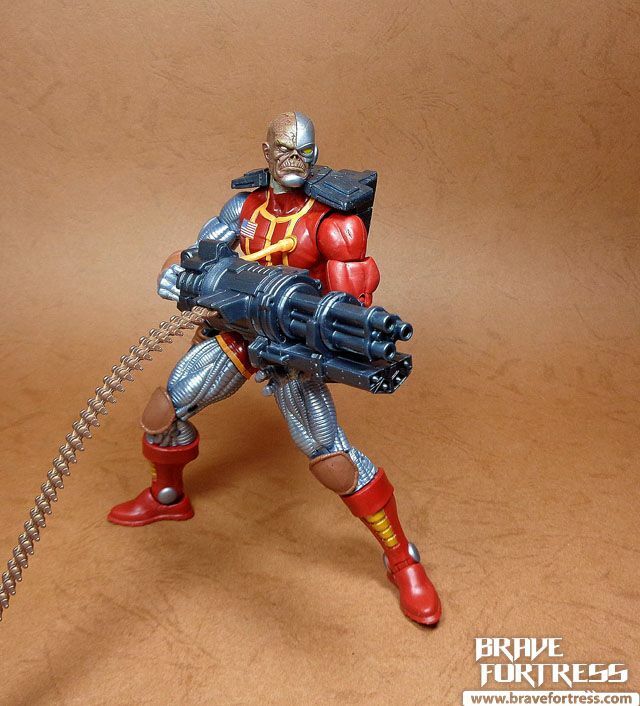 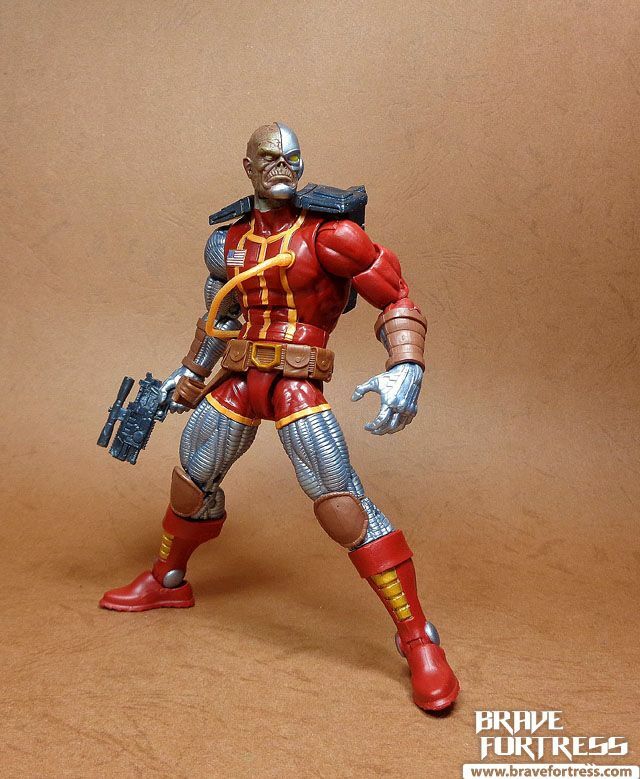 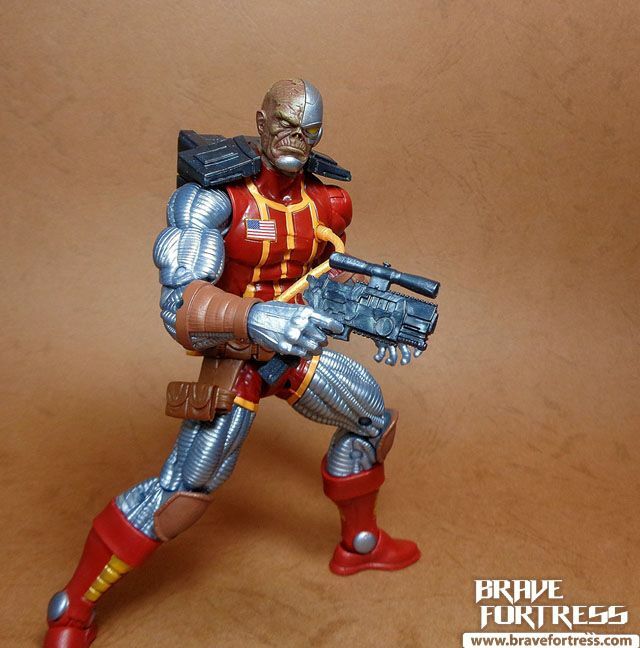 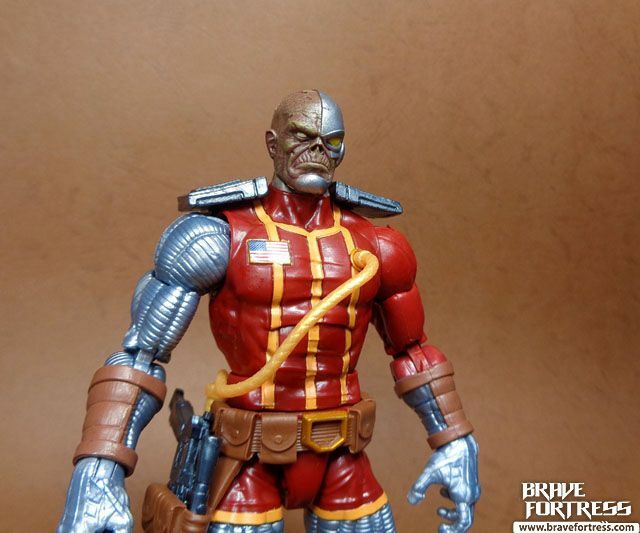 Deathlok is a cyborg from a post-apocalyptic future, where he fights to regain his humanity. 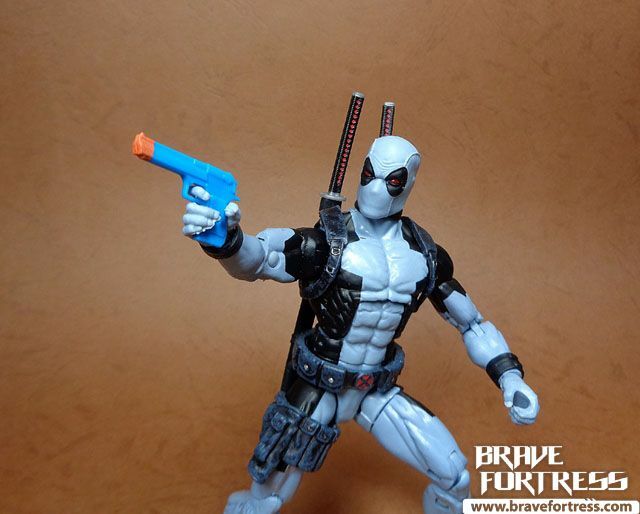 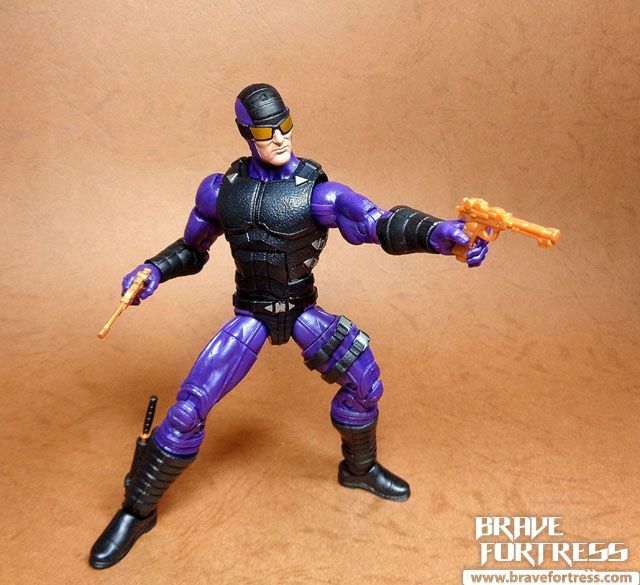 He comes with a trusty sidearm, which can be holstered. 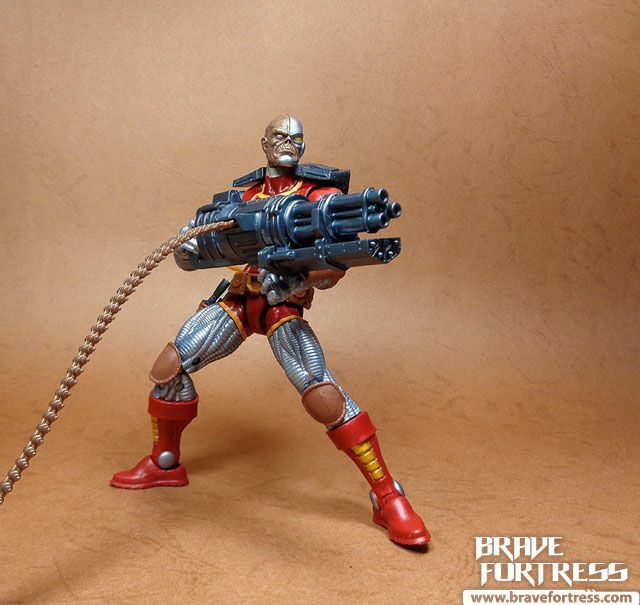 He also comes with a freaking huge gatling gun! 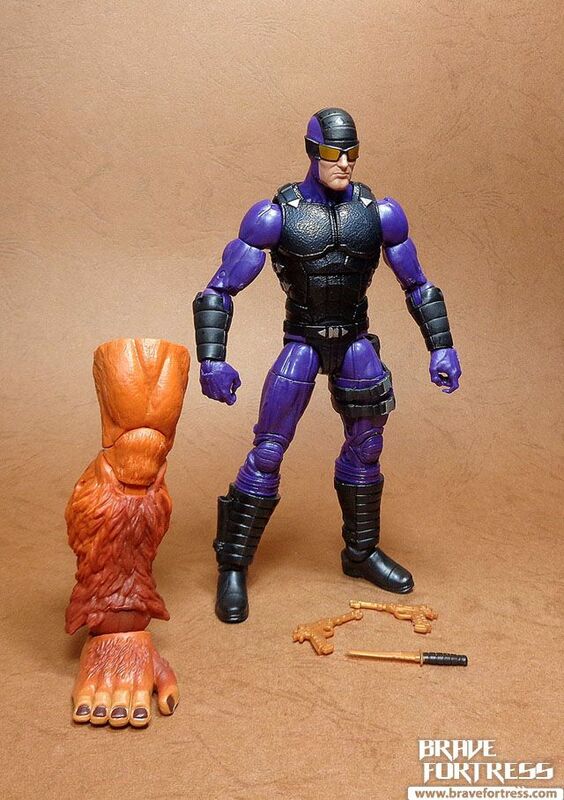 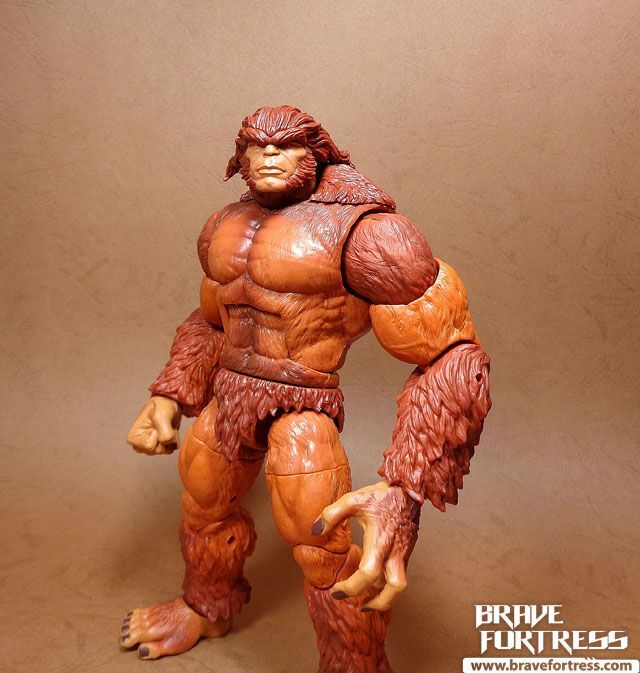 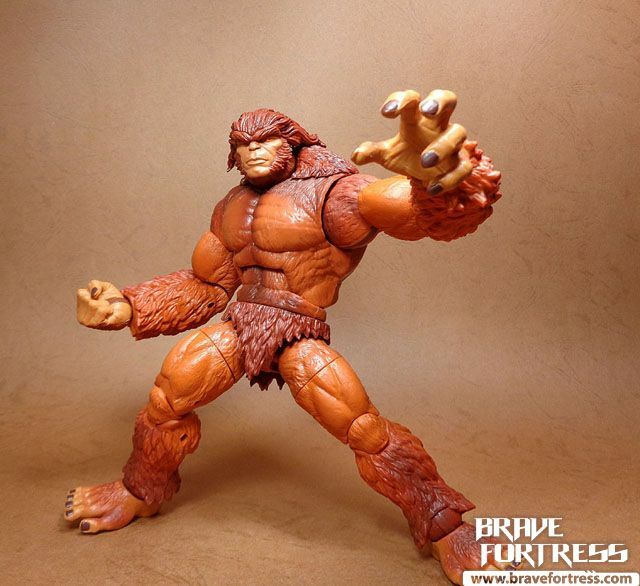 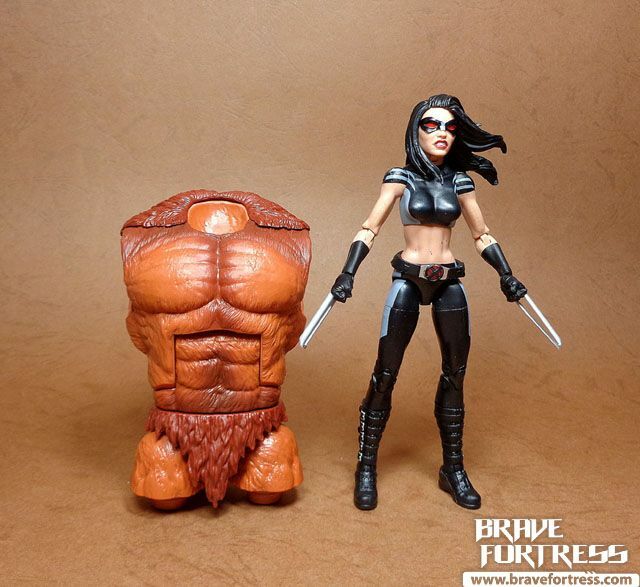 The series’ BAF, Sasquatch. 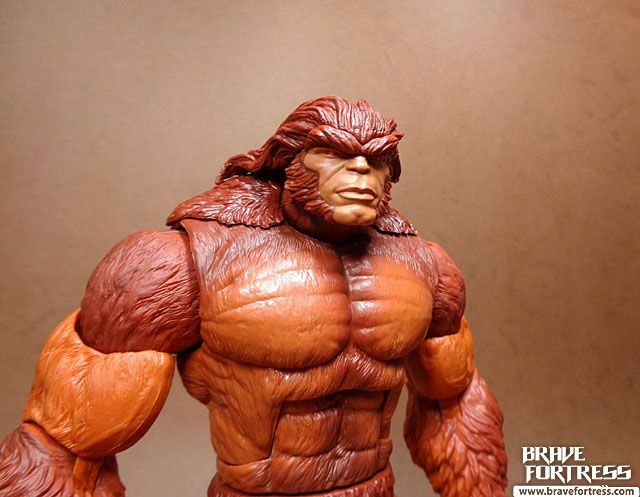 A member of Alpha Flight, Walter Langkowski can change his form at will and morph into the mighty Sasquatch. 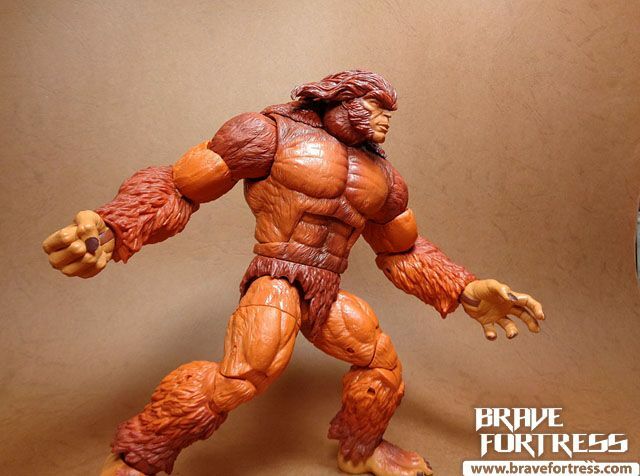 As the Sasquatch, he gains super strength, healing factor, and the ability to leap great distances. 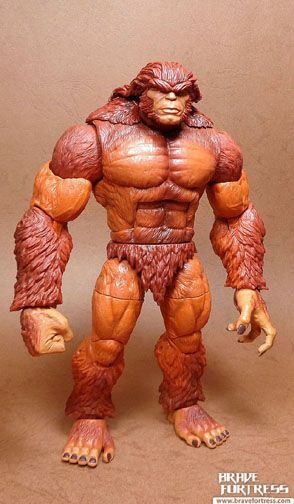 Originally, Walter gained his abilities from experimenting with Gamma radiation to become like the Hulk, this was later retconned into him gaining powers when his lab equipment opened the door to the “Realm of Great Beasts” and the mystical creature known as the Tanaraq entered his body. 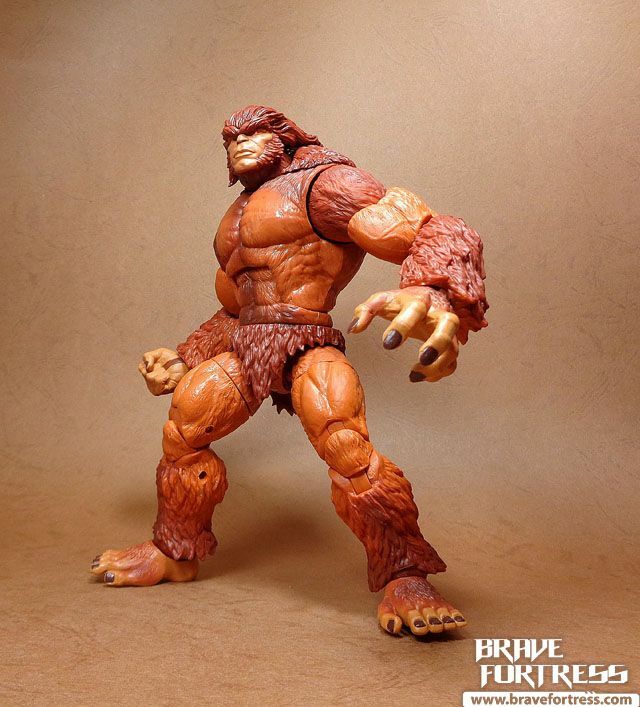 Holy Harry and the Hendersons!